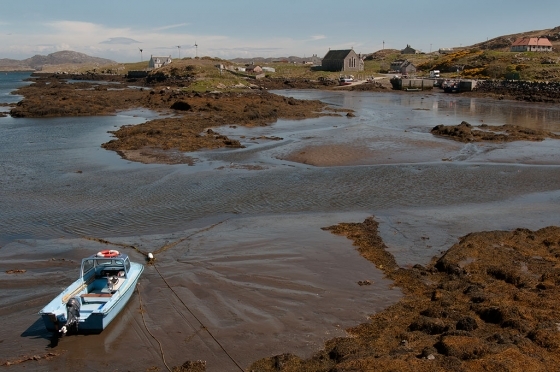 Description: Low tide as we head towards the Barra ferry on the way over to Eriskay. I like the patterns in the sand. The picture reminds me of the feeling of Island life with the dotted houses and windmills.